In recent years Asia has become the new “it” destination when it comes to cruising. While cruise enthusiasts used to head to the Mediterranean every single year, now travellers are focusing their attention on Asia cruises through countries like China, Japan, South Korea, Taiwan, Vietnam, Indonesia, Malaysia, and Singapore. Consider an Asian cruise when you wish to discover cultures vastly different from your own, see ancient temples and palaces, explore modern cities, and revel in nature as diverse as the beautiful beaches of Ko Samui and Phuket and the mesmerising limestone pillars that dot Ha Long Bay. 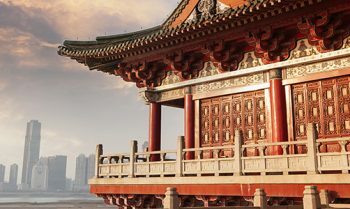 Read on to research the options and learn hot tips for Asia cruises or view our current best selection of Asia cruise deals. This is actually a trick question. Asia is a vast region so you’ll need to narrow down your options and know the general areas you’ll visit before you can determine the best time of year to travel there. For Southeast Asia cruises, March to November is your safest bet since it can get way too hot and humid beyond that time period. If you prefer to cruise East Asia, you can generally do so between November and March—although some cruise ships, like Royal Caribbean’s Quantum of the Seas, sail throughout Asia year-round. 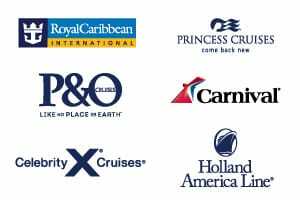 Many cruise lines offer a diverse range of Asian itineraries, the most popular of which include Holland America, Princess Cruises, Celebrity Cruises and Cunard Cruises. Royal Caribbean Cruises also offer a number of great options with an extensive range of shorter itineraries. 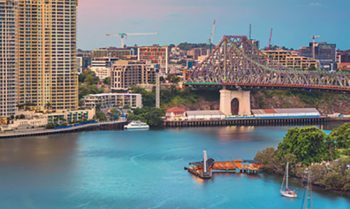 Azamara Cruises and Costa Cruises, offer some very unique itineraries, including visits to Myanmar and the Maldives, while Norwegian Cruise Line offers a handful of itineraries departing predominantly from Singapore. There are also a number of luxury cruise lines that offer cruises in Asia including Regent Seven Seas, Oceania Cruises, Seabourn Cruises and Silversea Cruises. These cruise lines give guests the opportunity to experience the exotic cities and ports of Asia in cruising grandeur. 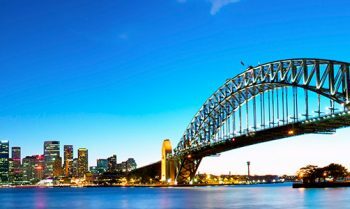 Flights to Asia from Australia are very frequent with a large range of airlines and options available, from full service multi-class airlines such as Qantas, Singapore Airlines and Cathay Pacific, to very affordable low-cost carriers like Scoot and AirAsia X. 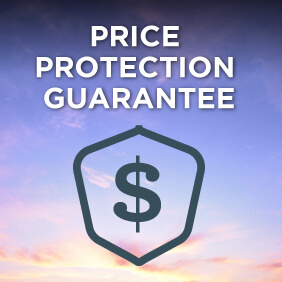 If you would like to limit your flying, there are also a number of cruise from the east coast of Australia or west coast of Australia into Asia or a more limited number in return. When it comes to picking an Asian itinerary, you’re going to have your hands full. Asia is a vast region of the world encompassing many countries and waterways. You’ll want to first determine if you’d prefer to visit Southeast Asia or East Asia. We discuss the merits of each option below. Expect 5 to 7 night cruises out of Singapore or longer cruises out of Hong Kong with calls on places like Bangkok (Laem Chabang) and Ko Samui, Thailand, as well as Ho Chi Minh City (Saigon), Da Nang/Hue (Chan May), and Nha Trang in Vietnam. 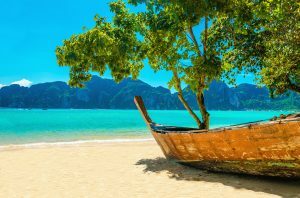 Longer voyages may add in an overnight in Bangkok, and/or calls to Phuket, Thailand and Halong Bay for Hanoi, Vietnam. 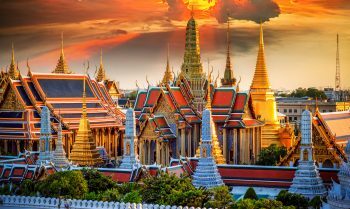 Alternatively, cruises from Bangkok allow you to tack on a Southeast Asian cruise holiday with your Thai land adventure. Hong Kong is a good place to start your exploration of Asia because it blends thousands of years of Chinese history along with a century and a half of British colonial intervention. To this day it remains a free-zone marketplace within China so it’s interesting to visit this port and contrast it to China’s other big cities of Shanghai and Beijing. 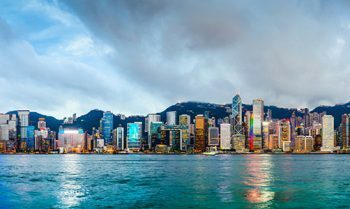 Hong Kong is a beautiful and cosmopolitan city where you can enjoy a pre/post cruise stay in new and ultra-posh high-rise hotels that have views of Victoria Harbour and the nightly laser lights and fireworks show. 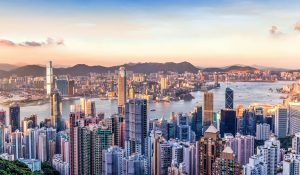 Make time to visit three distinct parts of the city: Kowloon with its famous outdoor markets, the touristy Tsim Sha Tsui sector, and Nathan’s Road for museums and shopping. Be sure to take a funicular to Victoria Peak for breathtaking views of the city. View cruises from Hong Kong. 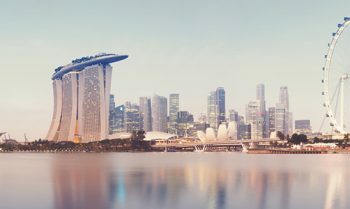 You probably couldn’t find a better embarkation city for Asia cruises than Singapore. 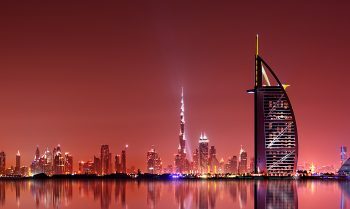 This immaculate city is safe, modern, and most residents speak English. You’ll have no problem getting around and enjoying the sights. The island of Singapore is both a city and a country and is connected to Malaysia via a series of bridges. Located just north of the equator, Singapore is hot and steamy all year round so you’ll need to pace yourself. If you have time, visit all three tourist sectors of the city: Sentosa, the colonial district, and Orchard Road. Shopping is a main attraction here with both indoor and outdoor malls throughout the city but Orchard Road has the highest concentration of shops and centres. If you’re interested in Britain’s influence on Singapore, visit the colonial district where you can see Old Parliament House, the Anglican St. Andrew’s Cathedral, and the Fullerton Hotel (which was formerly the General Post Office). The Singapore Zoo is a fantastic place to spend a few hours and they even offer night tours that are very popular. Finally, Sentosa Island is like a beach resort that also includes Universal Studios, a zoo, museums, and tons of shops and restaurants. View cruises from Singapore. Some of the most exotic Asian cruises are those that visit destinations in Indonesia and Malaysia. These adventures can be round-trip options from Singapore or often Singapore to Benoa, Bali (or vice versa). Indonesian calls may include places like Komodo Island, where you’ll see the rare Komodo dragon, and Semarang, Java for the stunning 9th-century Buddhist temple called Borobudur. In Malaysia expect to visit Langkawi, Penang, Kuching (for the orangutan sanctuary), or Port Kelang for Kuala Lumpur. A stop at Thailand’s coveted Phuket is also often included. Bali is one of those places that you’ll visit once and vow to return again and again. The people, most of whom are Hindu, are incredibly friendly and willing to share their traditions with you. This small island offers a variety of landscapes, from beaches and rainforests to volcanic craters and rice paddies. The island is home to 10,000 temples and that’s probably why many refer to this place as the Island of the Gods. Visit Uluwatu to see an example of an amazingly well-preserved cliff-top temple that’s been here since the 11th century. Southern Bali—Jimbaran, Seminyak, Kuta, and Nusa Dua—is the place to go for the beaches. Ubud in Central Bali is all about the arts and crafts and rice terraces. Don’t miss the Sacred Monkey Forest. One of the main attractions in Cambodia is Angkor Wat. 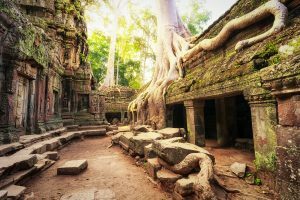 These ruins are quite a distance inland but some cruise lines like Azamara, Celebrity, Holland America Line, Oceania, P&O, Princess, Royal Caribbean, Seabourn, and Silversea offer shore excursions to the temple complex from Sihanoukville, Cambodia. The Angkor Archaeological Park is home to the ruins of the Khmer Empire that spanned the 9th to 15th centuries. The Temple of Angkor Wat is the most well-known shrine here but you’ll also want to visit the Bayon Temple and other sights that make up the 400 square kilometres of the park. 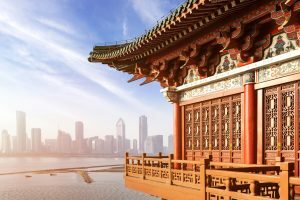 With a focus on China, Japan, and Korea, East Asian voyages provide a variety of embark/debark options with cruises from Shanghai and cruises from Beijing in mainland China, plus cruises from Hong Kong, cruises from Tokyo (and Yokohama) and also cruises from Kobe. Ships then call on smaller outposts where you may visit culturally important sites or rural villages. There are a variety of UNESCO World Heritage Sites throughout the region as well as inspiring temples and shrines, castles and palaces, and beautiful natural landscapes. Tours to East Asia offer a fantastic split of exploration into ancient cultures as well as the opportunity to enjoy bustling modern cities. There is a lot of interest in East Asia right now so you’ll find itineraries as short as one night or as long as 15. Calls in Japan may include Hakodate, Hiroshima, Kagoshima, Kobe, Kochi, Okinawa, Osaka, Otaru, and Nagasaki. 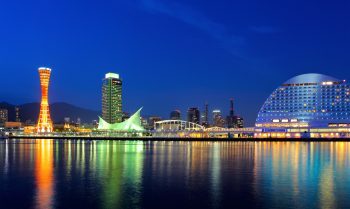 Taipei is a popular destination in Taiwan and in South Korea, you may visit Busan, Jeju, or Incheon. 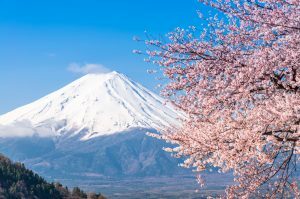 Many East Asia cruises begin and/or end in Tokyo and you should spend a few days here before or after your voyage since there is so much to see and do. With more than 13 million residents, this is a huge city. You’ll definitely want to visit the Imperial Palace and gardens as well as the Tsukiji Fish Market. There are also important Buddhist and Shinto shrines to explore, including Seso-ji (dating back to 645 AD) and Meiji Shinto Shrine with its imposing gate. For shopping, don’t miss the Ginza district or Akihabara for electronics. If you’ve got teens in tow, bring them to the Shibuya district to buy some trendy Asian fashions. View cruises from Tokyo. Come to terms with the fact that you will not be able to see and do everything in Beijing during your call in port unless you stay a few days pre and post voyage. This important city is the gateway to the Great Wall of China, a must-do for all visitors. Located in the countryside outside the city, you’re likely to visit one of two sections of the wall: Badaling, with modern facilities but tourist hype (hawkers selling food and tacky souvenirs) or the quieter Jinshanling section. 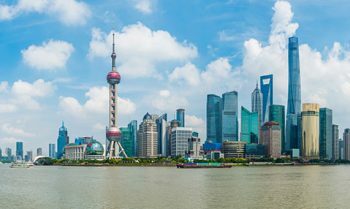 In the city, visit Tiananmen Square, the Forbidden City, the Temple of Heaven and associated park, and markets like the Pearl Market and Silk Market. View cruises from Beijing or cruises from Shanghai. Beware of the bathrooms. In many Asian countries, “squat” toilet facilities are the norm. There’s no commode so instead you’ll stand over a space in the floor, squat a bit, and do what you came to do. It’s not so easy for some women and those with mobility issues. Look for Western-style bathrooms in places like tourist restaurants and some museums. Always carry some change (oftentimes there is a small fee to use the facilities) as well as some toilet tissue and sanitary wipes. In Japan you may find the opposite problem. The toilets are often very modern contraptions with tons of digital controls that do who knows what! Conversing with the locals. 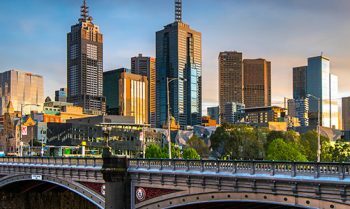 English is spoken in many of the built-up tourist destinations in the city and is often understood in the suburbs, even when the person doesn’t feel comfortable trying to speak with you in your native language. You will generally be able to get your point across but you may have to be patient and try a few times. Don’t be afraid of public transportation. 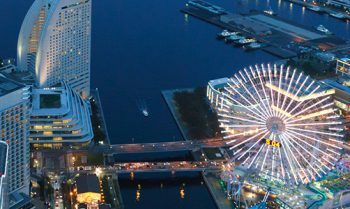 The public transportation systems in places like Hong Kong, Tokyo, and Singapore are quite good and safe for tourists. Don’t hesitate to use the bus, subway, and ferry systems. You can also hail taxis, or board one at a taxi stand, in most cities. Bring seasickness remedies. The South China Sea can be rough (though not always). It’s smart to be prepared and bring along some seasickness deterrents like ginger candies or chews or over-the-counter meclizine (Bonine, Antivert). If you are prone to feeling sick at sea, you may want to talk with your doctor about the Transderm Scop patch, which you wear behind your ear for the duration of your cruise.